Snow in our neck of the woods! Dream Green batting is a soft, cozy, and cuddly batting that is 100% made from recycled bottles. Each pound of Dream Green rescues 10 bottles that could be added to the landfills! The polyester microfibers are indistinguishable from virgin poly fibers, so it has all the advantages of Dream Poly with added environmental benefits. The green coloring comes from the recycled bottles - there must be a lot of Mt. Dew drinkers! 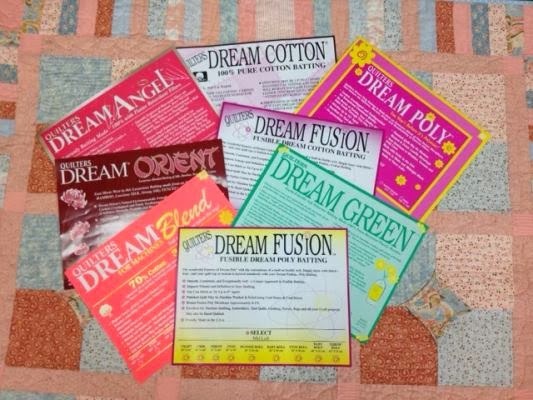 Dream Orient is the softest, drapiest batting available! 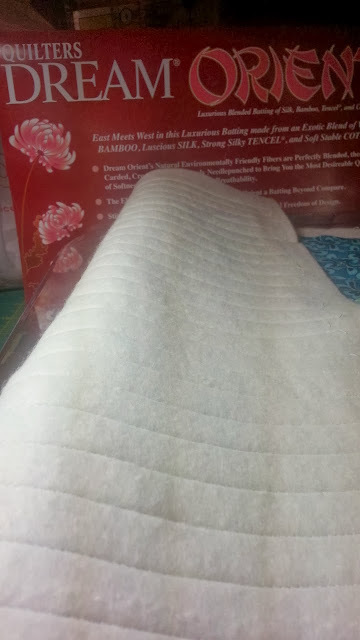 East meets West with this elegant blend of sustainable bamboo, luxurious silk, botanic Tencel® and strong, stable cotton. One touch and you will be hooked! 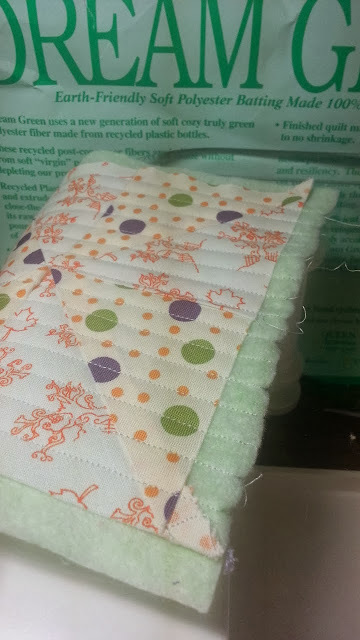 Freshly quilted Dream Orient Batting. Lovely drape that begs to be fondled. 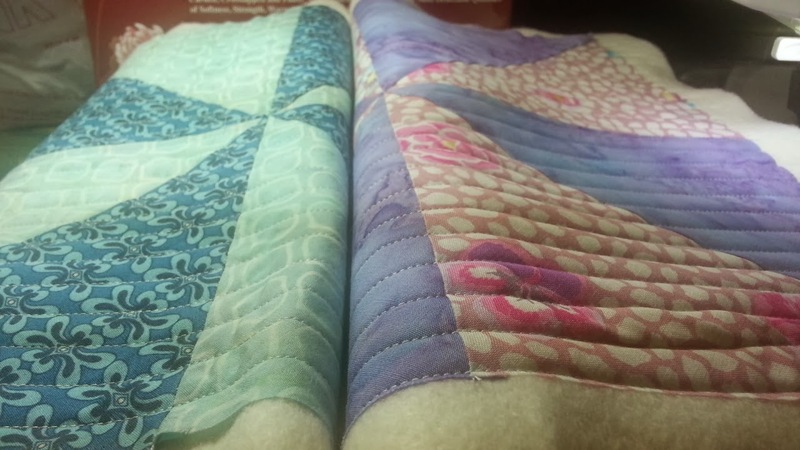 Teal quilted pinwheel block is a single layers of Dream Orient Batting. Purple quilted pinwheel is a double layer of Dream Orient batting - even doubled it keeps a wonderful drape. Fibers are not 100% from the USA, however, Dream Orient (like all Dream Battings) is made in the USA! Please come back next week for part 3 of our Month Long Series: Batting University. We will continue with Dream Angel (flame retardant batting) and Dream Blend for Machines!